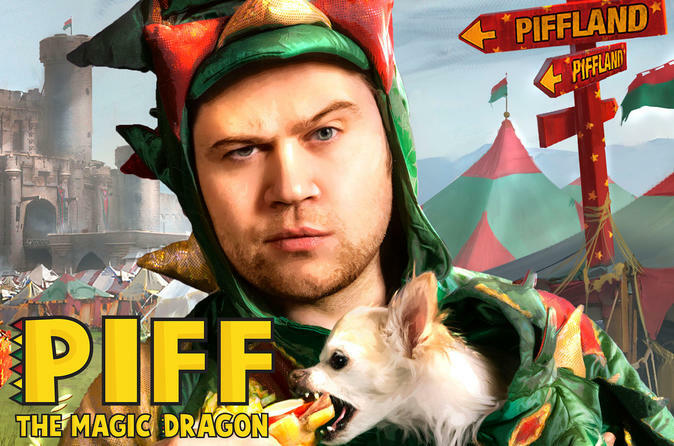 Head to the Flamingo Las Vegas to watch Piff the Magic Dragon and his assistant Mr. Piffles star in their long awaited solo show. Fresh from his success on “America’s Got Talent” and following record-breaking ticket sales throughout North America on his first US tour, Piff the Magic Dragon will leave you amazed with his slight-of-hand tricks and magic. At the Flamingo Las Vegas, be amazed by Piff the Magic Dragon and Mr. Piffles, the world’s only magic performing Chihuahua. They will perform a selection of their greatest hits from a repertoire that stretches over six previous critically acclaimed solo shows. With each routine featuring their signature approach to conjuring that puts a new twist on the traditional magic show. His sidekick, Mr Piffles, has been levitated, laminated, shackled in a straitjacket and shot out of a cannon all in the name of entertainment. Piff has been featured on Penn & Teller: Fool Us and America's Got Talent where he impressed everyone with jaw-dropping magic tricks. With over 12 million YouTube hits to his name Piff has performed to hundreds of thousands of people in preposterous venues such as Radio City Music Hall, the O2, London, and Sydney Opera House.